I’m going to preface this seemingly insensitive post by saying my words are not aimed at seniors or those with health issues, disabilities or impairments. 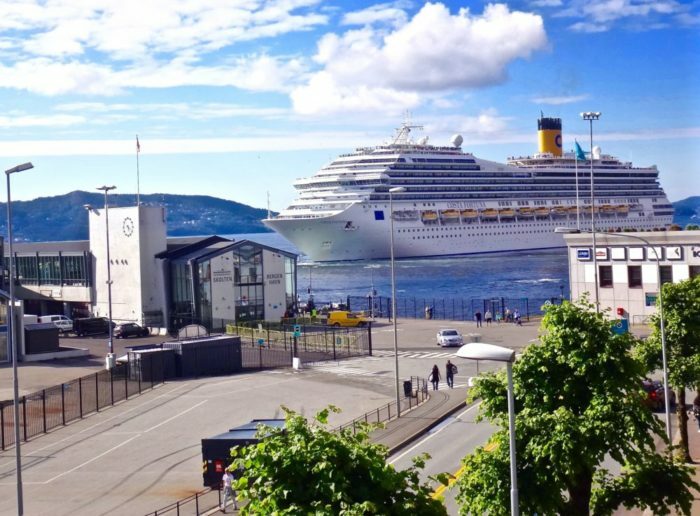 It’s not meant to encompass destinations that are only seen by cruise ship either i.e. Alaska. Although a couple of the points below still very much apply. Aside from being a heinous eye sore and completely ruining views of coastline for natives and real travelers, cruise ships are the worst offenders when it comes to pollution. On average, cruise ships use 140-150 tons of fuel per day resulting in the industry consuming millions of tons of fuel every year. And produce almost a billion tons of sewage! Exhaust and sewage can toxify air, taint water and contaminate sea life. The result? Negative environmental and health impacts to nearby inhabitants. Did you know, by law, ships can dump treated sewage anywhere or even raw, untreated sewage as long as they’re three nautical miles out to sea? Read here. Are You A Tourist Cliche? What is your purpose for traveling? Are you interested in experiencing a new place? Spending most of your time on a ship speaking with people from the same country and socio economic status while eating food prepared by the same chefs may not broaden your horizons in any way. 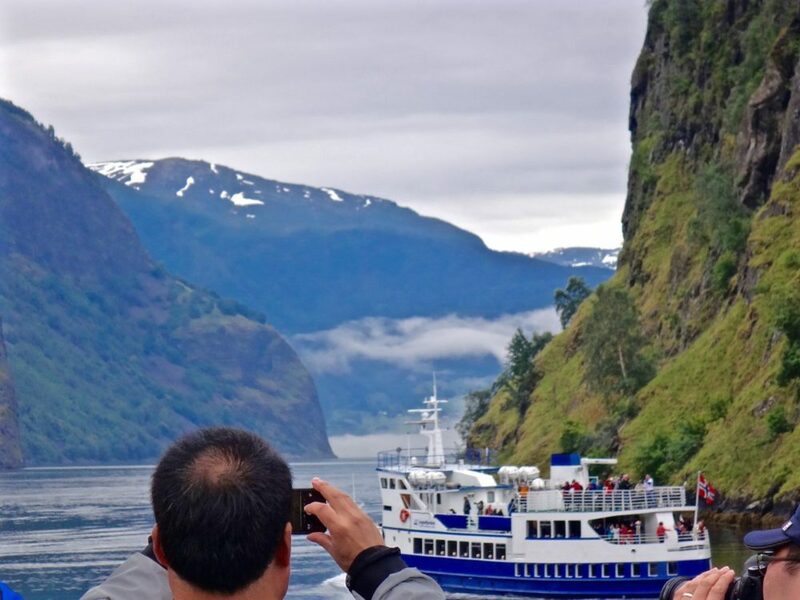 The few hours you get to roam away from the cruise ship exploring the same 4 recommended tourist sites or excursions are not going to provide you with an authentic experience. Cruise ship passengers are the easiest target for would-be thieves and hustlers. What’s less difficult to spot than thousands of people disembarking a gargantuan white cruise ship docking at the port. Whose going to risk missing their boat to file a report about some stolen cash and jewelry (or worse) at the local police station? How perfect. Let’s not forget to mention that Health & Safety are big issues aboard cruise lines with numerous reported outbreaks of food poisoning. Don’t forget spreading of disease and illness including Legionnaires’ Disease, Influenza, GI Illness and malaria just to name a small few. Watch out for those funky unexplainable rashes and fungal infections too. Skip the Cruise Ship and Spread the Wealth. Give to the non franchised. Stay at the boutique hotel or other locally owned accommodation . Eat at the restaurant a few blocks off the main road. Buy a real souvenir from the native artisan. Your money has impact, think before you spend. There are not many things more restrictive than being confined by space and a schedule while on holiday. True there are more choices these days in cabin variety and some even quite swanky. But your accommodation is probably the standard vanilla, claustrophobic cruise ship cabin. You can always run to the crowded pool or slot machines on your ship I suppose. The thought of not having opportunity to reroute or change plan is also frightening. And what about having to constantly eye your watch every thirty minutes while exploring all so you can re-board your floating cage. In short, cruise ships completely kill any freedom! Finally, be weary of all inclusive bargain packages. There are hidden fees everywhere. Everything is considered an extra including activities, land tours and even food and beverage items.